An easy Easter activity to enjoy with the family and the best ever homemade resurrection rolls you’ve ever tasted! One of the many traditions that we enjoy celebrating during Easter is remembering that, Jesus is alive. We also enjoy Easter egg hunts, dying eggs and our Mexican tradition of filling eggs with confetti. 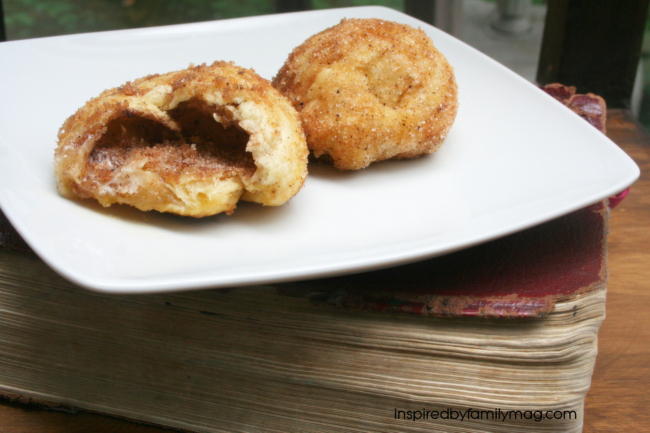 We have an Easter countdown (you can find it here: Easter Countdown for the busy family) and we end our Holy week with Resurrection Rolls or some people call them Empty Tomb Rolls. In the past, we have used the Family Life Resurrection Eggs that are great for kids to understand the death and resurrection of Jesus. Read to your child the account in the Bible where Jesus was crucified in John 19: 38- 20:9. We use The Jesus Storybook Bible Deluxe Edition when we do devotionals with our kids.They have lovely videos to go with each lesson. Once you get to his death use this object lesson for a hands-on activity on what happened when he was buried and resurrected. Get your kids in the kitchen with you and have fun! Prepare your rolls as directed. If you’re using my favorite roll recipe (link above) then follow it right to the step before baking. Also, I recently had a friend ask me about making them ahead of time and though I’ve never done it myself, I found these instructions HERE to be helpful. 1. Take melted butter and dip the marshmallow in it. 2. Dip the marshmallow in the cinnamon and sugar (mix together) and explain how his body was covered in spices and oil to prepare him for his burial. 3. Take a small golf size lump of dough or a crescent triangle. Explain this is the tomb where his body was placed. Roll out dough and make sure the marshmallow is completely covered in the dough. 4. Dip the dough in cinnamon sugar again just because it taste good no symbolic meaning. 5. Place in the oven. Bake according to the instructions for your rolls. 6. When they are done open up the tomb and take a look–the body is gone. (the marshmallow has melted). Celebrate! He is alive! And enjoy the delicious roll.